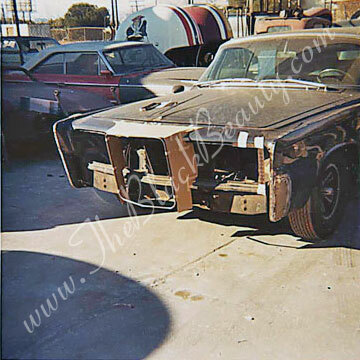 Sometime in 1974, Robert Short and a friend stumbled across car BB1 in a body shop in Studio City, California where it was being repaired. 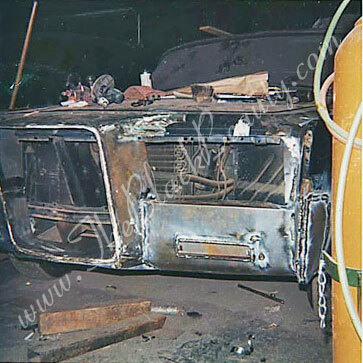 While the car was not for sale, Robert realized that he could build a replica car, using the information he had gathered (as well as copious photos he and the friend snapped) and by utilizing the resources around town. 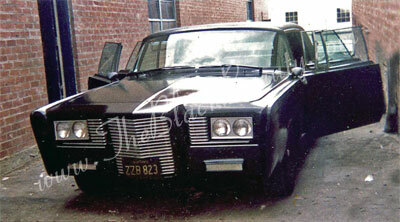 Within weeks Robert had a dark blue 66 Imperial for $700 to start with. Robert went to Dean Jefferies and had him put together a quote for creating a BB replica. 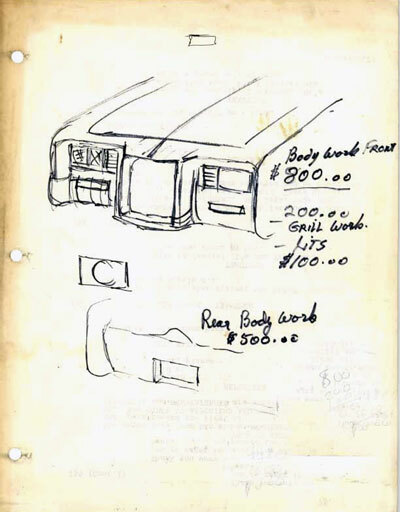 The pricing was good, as seen in the original Jeffries sketch and pricing. 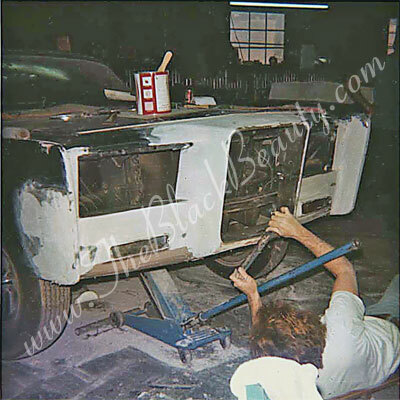 He finished the car in a flat black matte paint and figured he would coat the back stock bumper until he had more time and money to finish off the back of the car. 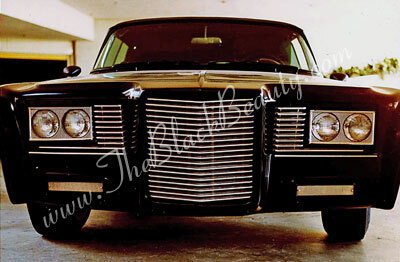 Robert drove it as his daily driver for several years and made appearances at conventions during that time. Robert would occasionally get stopped by police about the very small limo window in the back, but the side rear view mirrors always saved him from getting a ticket. After a couple of years of fun he decided to sell the car to his friend. Somehow, years later, Jay Ohrberg ended up with the car. 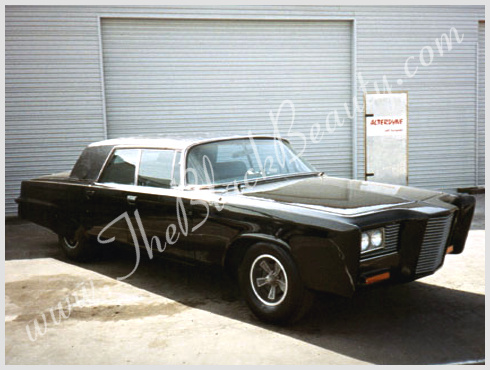 During the 80's this car turned up in a Quiet Riot video called The Wild and the Young (view at right). 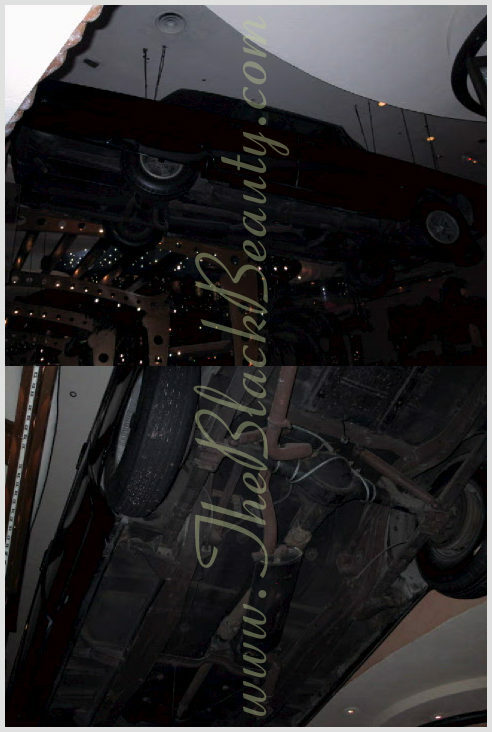 After that it was sold to Planet Hollywood in Hong Kong where it was hung from the ceiling minus the engine transmission and fuel tank. 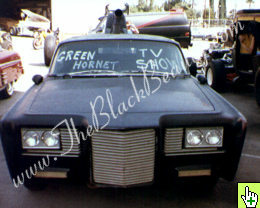 << The placard mounted beneath the vehicle was a bit misleading: "BRUCE LEE, VAN WILLIAMS 'The Green Hornet' ABC/ Twentieth Century Fox, 1966-1967 The car used in this cult series." While there is nothing wrong with replicas, there might possibly be a problem when folks try to pass them off as the genuine article. 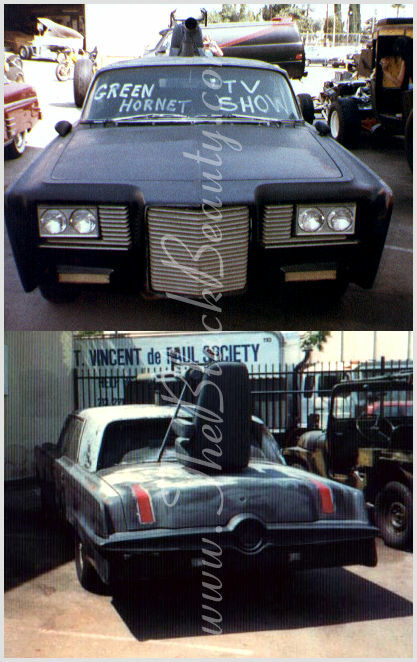 Robert Shorts replica in the 70's and 80's.